TORONTO—With over 400 performances staged in over 120 cities in 18 countries, spanning five continents, Shen Yun Performing Arts’ 2015 world tour came to a conclusion with a last performance in Philadelphia on May 10. Throughout Shen Yun’s 2015 global tour, audiences worldwide were enthralled with Shen Yun’s exhilarating scenes of utmost beauty from heavenly realms to beautiful Chinese landscapes; impressed with the demanding flips and turns of classical Chinese dance; and moved to tears on many occasions with Shen Yun’s story-based dances showcasing the true, divinely-inspired Chinese culture. “[With] a couple of the dances especially, I was just amazed at how the humanity can physically manifest itself and the spiritual can be transformed into physical movements,” Ted McKee, chief judge of the United States Court of Appeals for the Third Circuit, said after watching Shen Yun at the Kennedy Center Opera House in Washington, D.C. on April 18. “We love the show … The culture is so wonderful and it’s so beautiful, the colors and the moves, the dances and everything else. It’s so amazing,” said boxing legend Sugar Ray Leonard, who saw Shen Yun in Hollywood on Jan. 25. There are many elements to a Shen Yun performance that truly make it unique. Shen Yun’s orchestra combines traditional Chinese instruments with classical Western instruments, playing original music to accompany the dances; animated backdrops transform the stage to scenes in the heavens or in ancient royal courts; and hundreds of colorful costumes create a feast for the eyes on stage. “It is just an amazing experience here. The stories are exciting, the dances are very professional, the costumes are beautiful, and I am really impressed with the blending and the tailing of the technical graphic on the dance … It is really quite exciting to watch and really inspirational, ” six-time Tony Award winning producer Stewart F. Lane said after watching Shen Yun in New York City’s Lincoln Center’s David H. Koch Theater on Jan. 18. Watching Shen Yun for a second time, Canada’s figure skating legend Elvis Stojko was just as impressed by Shen Yun on Jan. 16 after watching the performance in Mississauga as he was when he first saw Shen Yun a few years ago. It’s energy that emotes not just to the front row, but to the whole theater. “It’s energy that emotes not just to the front row, but to the whole theater—[and] it’s not a small theater. You can tell the energy that transcends all the way to the back row,” he said. 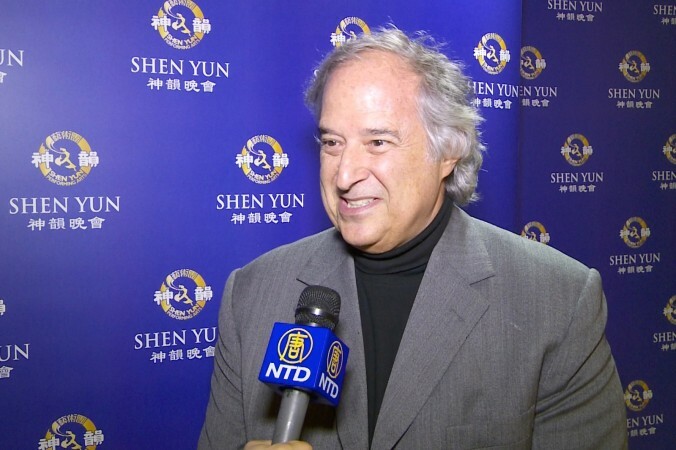 David DiChiera, founding general director of Michigan Opera Theatre and a composer, was impressed by Shen Yun’s production after seeing it on Feb. 6. Based in New York, Shen Yun was formed by a group of leading classical Chinese artists who aim to revive China’s divinely inspired culture. According to the Shen Yun website, Shen Yun performances are filled with principles such as benevolence and justice, propriety and wisdom, and respect for the heavens, to name a few—all values that in China originate from Confucianism, Buddhism, and Taoism, and are the essence of traditional Chinese culture. 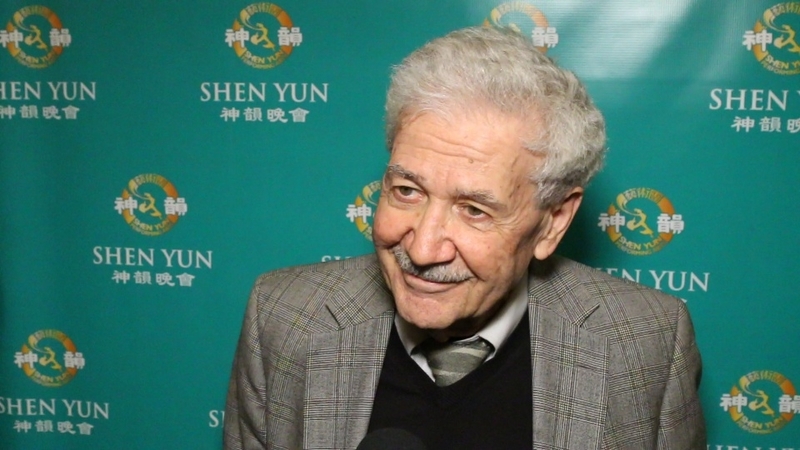 Henri Malosse, president of the European Economic and Social Committee, appreciated Shen Yun’s efforts to revive authentic Chinese culture after watching the performance in Paris on April 11. He said it is moving to see Shen Yun artists seeking their roots and traditions. Since its inception in 2006, Shen Yun has grown to include four traveling companies, each complete with an orchestra that consists of classical Western and traditional Chinese instruments. 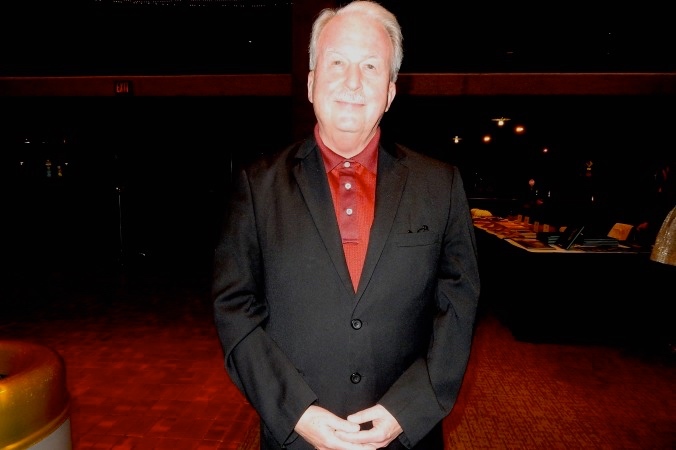 “The music they’ve created is such an excellent combination of traditional melodies,” said Dr. Richard Webb, professor and dean emeritus of the College of Arts and Humanities, Southern University, after seeing Shen Yun in Baton Rouge, La. on March 24. “I am a musicologist as well, so the various scale of formations and melodic fragments from the historical periods, they’ve incorporated with Western harmonies. So they have a way for the two spheres of instruments to balance against each other. That I was particularly taken by,” he said. 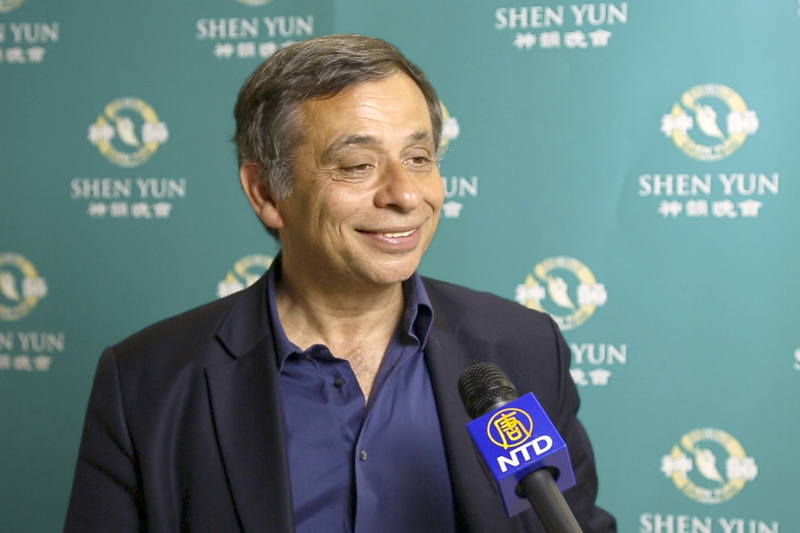 David Eaton, composer, music director, and conductor at the New York City Symphony, also commended the Shen Yun Orchestra for its masterful blending of Eastern and Western music. It was very uplifting, very uplifting and inspiring, and at times—very deep. “It was very uplifting, very uplifting and inspiring, and at times—very deep … I think that the bringing together of the Eastern and Western elements (instruments) is very effective. Very effective. 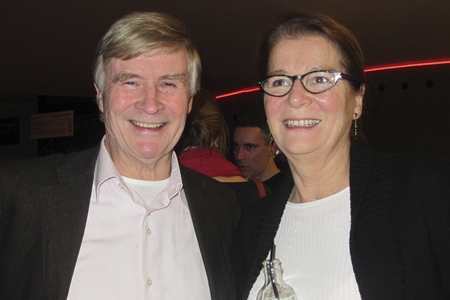 I enjoyed it so much,” said Mr. Eaton, who watched Shen Yun in New York City’s Lincoln Center on Jan. 14. Seven-time Emmy Award winning composer and producer Roger Tallman said the Shen Yun Orchestra is truly unique. “The emotion that was portrayed, not only just on stage, but with the sound and the movement of the orchestra … how that brought so much life to the stage … I think the idea that [they’re] bringing Chinese instruments into the Western orchestra, it’s so unique that it has to catch your attention, and I think that’s what moved me the most within the music,” said Mr. Tallman, who watched Shen Yun in Grand Rapids, Mich. on Feb. 14. 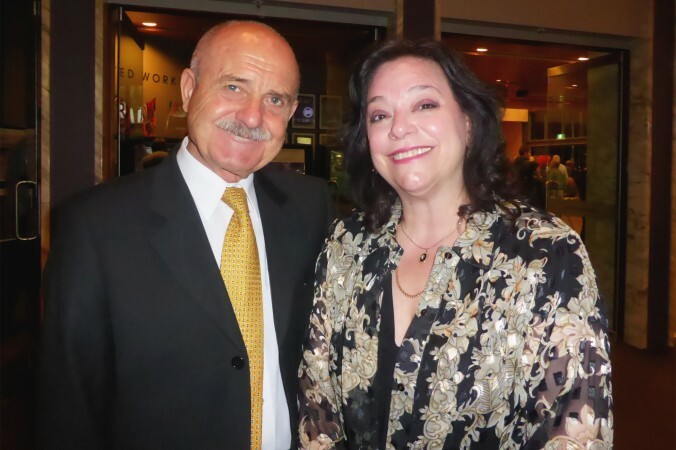 Acclaimed voice professor Claudia Visca, who saw Shen Yun in the Australian capital Canberra on Feb. 20, praised the blending of the different art forms in Shen Yun. “It combines movements with music, and singing, and dance and all of the genres of the arts that one needs to have a great performance,” Ms. Visca said. Classical Chinese dance has a heritage going back to thousands of years. The art form features incredible flips and spins, and is known for its gentle elegance. According to Shen Yun, it is one of the most rigorous and expressive art forms in the world. “I love classical Chinese dance. I’ve never seen anything like this which amazes me … I am very excited, that there are things that my mind never thought to use in dance. It is very creative and just beautiful,” said Megan Johnson, ballerina and dance instructor with the Georgia Academy of Dance & the Performing Arts, who saw Shen Yun in Atlanta on Jan. 3. “To see everyone so precisely together and just moving, everyone has beautiful expression, their technique was just flawless. That’s hard to beat that … You can’t fake passion. You can work very hard to get the lines and the technique, but what comes from the soul you can’t fake. You can’t practice; it just is. I love it that they explain what the name means, and that is the divine beings expressing through their soul. That’s beautiful, it just is, it’s from within,” Ms. Johnson added. “The show is enormously uplifting. The diversity and the quality of the performance was really first class. I was really impressed,” said Kate Reilly, artistic director of Melbourne School of Classical Dance, after seeing Shen Yun in Melbourne’s State Theatre on Feb. 28. “Coming from a dance background myself, I appreciate totally the work and the discipline behind the performance. They make it look incredibly easy, but I understand their training is extremely difficult, and the sacrifice they’ve made from their personal lives, in order to uplift the audience in this way is very, very special,” added Ms. Reilly. 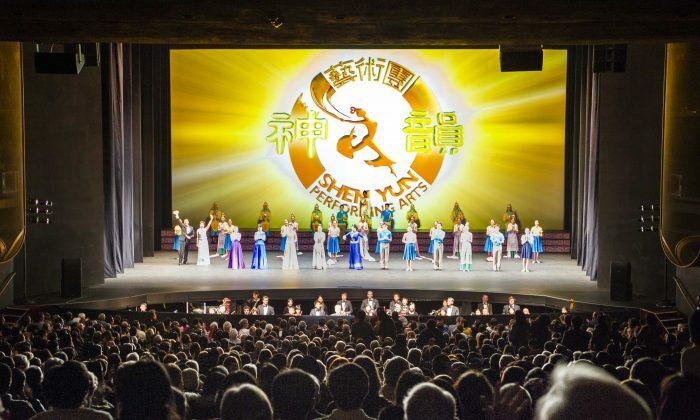 Shen Yun staged over 40 performances in Taiwan as part of the Asian leg of its journey. The company held one additional performance to dedicate the proceeds to victims of a large-scale gas explosion in Kaohsiung. “The performance is full of sincerity, compassion, and beauty, and it also showcases stories about the principles of truthfulness, compassion, and tolerance. I think it’s great to do so. 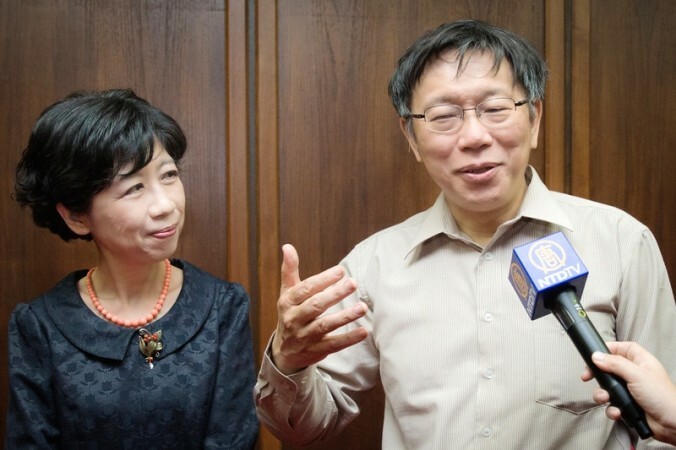 If possible, (we should) take the bright road of life, and use the power of compassion,” said Ko Wen-je, mayor of Taipei. He saw the performance on April 4. “Every time we saw Shen Yun we were amazed. Therefore, we will never miss this performance … [The artists of Shen Yun] are not only one of the best, but the best dancers worldwide. 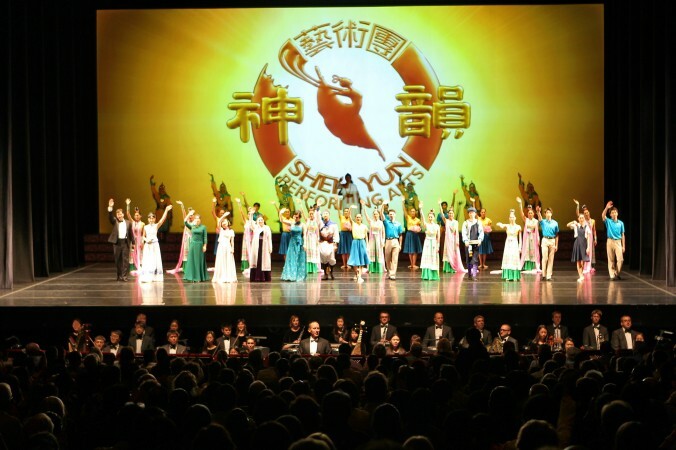 Also the choreography and the costumes can only be called one of a kind.” HIRH Herta Margarete Habsburg Lothringen, Archduchess of Austria and Princess of Tuscany, said after watching Shen Yun on March 10 in Vienna. Kirsty Evans, a university lecturer in tourism, said that while she and her husband often go to see theater shows, nothing was quite the same as Shen Yun. “It feels very special; it feels very different, very, very unique. It’s more than just a series of dances. It’s really lovely,” Ms. Evans said, who took in Shen Yun in Manchester on April 1. 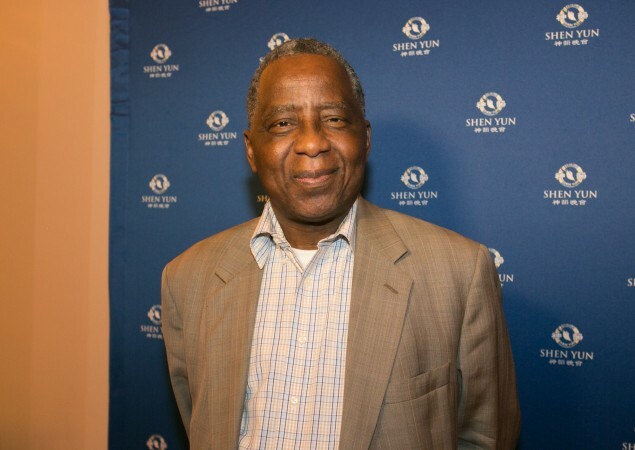 Mr. Charles Taku Esq., head of the Taku Chamber, a law firm in Buea, in the southwest province of Cameroon, and the lead counsel of the International Criminal Court, attended the Shen Yun, along with his family, for a second year, this time in the John F. Kennedy Center for the Performing Arts in Washington D.C., on April 17. As a counsel in the International Criminal Court for many years, Mr. Taku said he has been exposed to conflict and hatred. But in Shen Yun, he found a solution. He said that the performance showed him a “tradition and a culture [that] went back hundreds, thousands of years.” “I think with this culture and these traditions, the show provides a solution to most of the conflicts that we see around the world,” he said. Michael Meister, parliamentary state secretary at the Federal Ministry of Finance in Germany, and his family have seen Shen Yun at least five times and they won’t miss it in 2016 either. “Shen Yun is perfection in everything: the dancing, the songs and the music. The harmony between performers is of the highest degree … One feels without doubt the deep meaning that is imparted by the dances and the songs,” Mr. Meister said. “I was very inspired by the music and the way that 5000 years of Chinese history has been maintained, in such a stimulating way,” he said. Businessman and philanthropist, and former Texas secretary of state, George W. Strake Jr. said Shen Yun has an important message. “I think the message is one of freedom … I think it’s really spectacular,” said Mr. Strake, who saw Shen Yun in Houston on Jan. 6. Robert Hildebrand, a vice president with Hewlett-Packard, usually sees Shen Yun in San Jose, but this year he saw the performance in San Francisco’s War Memorial Theatre on Jan. 8. Mr. Hildebrand found the contemporary history in two dances intriguing. “You know, the fall of the Red Regime … the plight of Falun Gong and the oppression of Falun Gong in China, as a Westerner it is interesting for me to see that,” said Mr. Hildebrand. The pieces also moved Annemarie Penn, the prosecutor-general of the Netherlands, who saw the performance on March 3 in The Hague along with her husband Olaf Penn, a heart surgeon and president of a municipal party. “Very good, we enjoyed it very much. The movements, the colors, the music, the nice people—beautiful,” said Ms. Penn. Milanese fashion designer Zoi Kyriakakou said Shen Yun is more than just an entertainment and cultural experience. “This one was really food for my soul,” said Ms. Kyriakakou, who saw Shen Yun in Milan on March 20. While the 2015 world tour may be over, Shen Yun artists are already working on creating a completely new program for next year. Before the start of the next season, audience members in North America can look forward to the Shen Yun Symphony Orchestra performances this October.